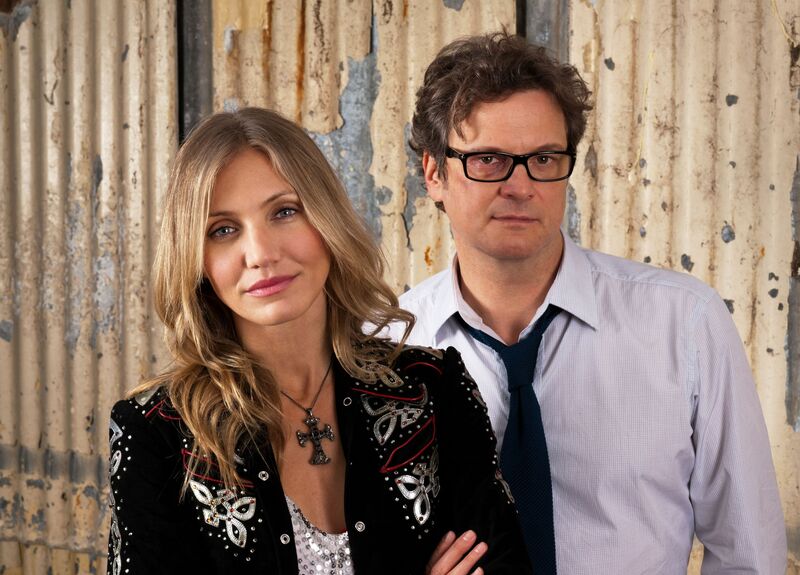 Michael Hoffman‘s heist-comedy Gambit, written by the Coen Brothers and starring Colin Firth and Cameron Diaz, is set for January 11, 2013. 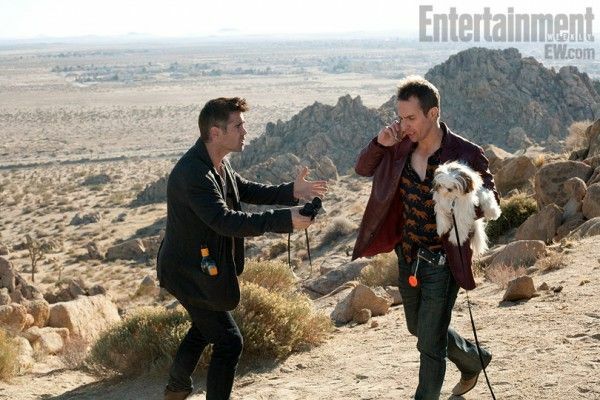 Martin McDonagh‘s dark comedy Seven Psychopaths, starring Colin Farrell, Woody Harrelson, Christopher Walken, and Sam Rockwell, is due out November 2nd. 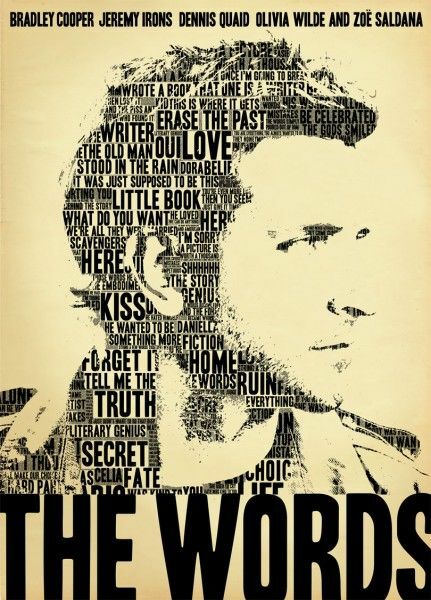 The plagiarism drama The Words, starring Bradley Cooper, Zoe Saldana, Dennis Quaid, Olivia Wilde, and Jeremy Irons, will open September 21st. Gambit is technically a remake of the utterly delightful 1966 Michael Caine/Shirley Maclaine movie of the same name, but the plot sounds very different. In the remake, “Firth will play a London art curator who plots an elaborate scheme to con a wealthy collector (Alan Rickman) into buying a fake Monet painting. As part of the ruse, he recruits a Texas steer roper (Diaz) to play the part of a woman whose grandfather liberated the painting at the end of WWII.” The character roles are similar to those in the original, but the professions, methods, and Macguffin have changed. Gambit will be the sophisticated choice on the January 11, 2013 weekend when it opens against Scary Movie 5 and the action-flick fairy-tale reimagining Hansel and Gretel: Witch Hunters starring Jeremy Renner and Gemma Arterton. Moving on to Seven Psychopath, the film is McDonagh’s follow-up to In Bruges and stars Farrell as a screenwriter struggling with his latest script, titled Seven Psychopaths, who gets roped into a dog-napping job by his friends (Rockwell and Walken). Things take a turn when the beloved Shih Tzu of a psychopathic gangster (Harrelson) goes missing, and the trio find themselves on the run. The film also stars Tom Waits, Gabourey Sidibe, Abbie Cornish, and Olga Kurylenko. The November release date means that Seven Psychopaths might make the rounds on the fall festival circuit. Either way, the November 2nd date will have the movie sharing its opening weekend with the Barbara Streisand/Seth Rogen comedy Guilt Trip (formerly My Mother’s Curse) the remake of Red Dawn starring Chris Hemsworth and Josh Hutcherson, and Disney’s animated feature Wreck-It Ralph. Finally, if you didn’t read my review of The Words at Sundance, click here to find out why I thought it was terrific. The movie features stories within stories, but the central narrative centers on a failed author (Cooper) who finds an untitled and uncredited manuscript in an old briefcase and publishes the novel as his own. The plagiarist’s unearned success threatens to come crashing down when he’s confronted by the novel’s true author. The crowded September 21st weekend also features the crime thriller Killing Them Softly (formerly Cogan’s Trade) starring Brad Pitt, the R-rated action comic-book movie Dredd starring Karl Urban, the animated Adam Sandler family comedy Hotel Transylvania, and the thriller House at the End of the Street starring Jennifer Lawrence.